Can Non-Apple Tablets Compete Against the iPad? Asus and MSI introduced on Monday at the Computex show in Taipei new tablet computers, designed to compete with Apple's iPad. The new tablets will run on various versions of Microsoft's Windows 7 OS, with customized user interfaces, and feature a variety of ports, like USB, HDMI and card readers. The new Asus Eee Pads come in two flavors, a 12-inch model, the EP121, and a 10-inch version, the EP101TC. 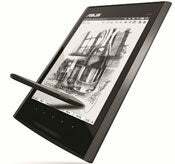 Not all details about the new tablets have been unveiled, but Asus said the EP121 is powered by an Intel Core 2 Duo processor and has an integrated webcam, HDMI, SD card reader and a USB port, claiming a 10-hour battery life (like the iPad). Size-wise, the EP121 weighs just over 23 ounces and is 0.48-inch thick. The EP121 will run Windows 7 Home Premium, while its smaller sibling, the EP101TC will run on a new Windows Embedded Compact 7 OS. No pricing details have been released about the EP101TC, but the EP121 is expected to retail for about $499, the starting price for an Apple iPad. Both tablets are slated to arrive late this year or in early 2011. MSI also showed off the WindPad 100, a 10-inch Windows 7 Home Premium tablet, which runs on a 1.66GHz Intel Atom processor, with 2GB or RAM and a 32GB SSD hard-drive. Expected later this year for around $499, the WindPad will have not one, but two USB ports, HDMI and a webcam. MSI's WindPad 100 capacitive display features a 1024x600 pixels resolution, and runs on a special user interface for Windows 7 designed by MSI, called Win Touch UI. MSI also showed off a second WindPad tablet, the 110, which runs on Google's Android OS, but not further details about it are available at the moment. While in tablet land, Asus also demoed the Eee Tablet (not in the Eee Pad family), something the company calls a digital notebook featuring an 8-inch black/white TFT LCD, with 64 levels of grey. The Eee Tablet packs a micrsoSD slot and a 2-megapixel camera, and is designed for reading texts and ebooks, as well as taking notes. The Eee Tablet is expected in September for up to $299. Are you going to hold off from buying an iPad for any of these new tablets? Sound off in the comments.